There really is nothing like the healing powers of a body of water. Some people long to live by the ocean, others would love to live on a lake. In Harrisburg PA there are people who are fortunate to live life on the Susquehanna River. 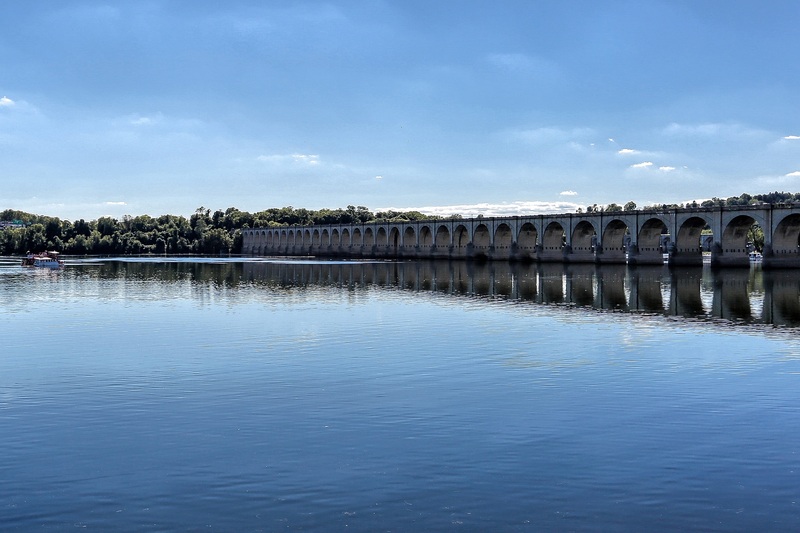 The Susquehanna is the longest river on the east coast that drains into the Atlantic. It is the 16th-largest river in the United States, and the longest river in the continental United States without commercial boat traffic. Of course there is room for lots of recreational boat traffic including fishing boats, catamarans, kayak, canoes and stand-up paddleboards. The Harrisburg Marathon has a leg that goes approximately 4 miles on both sides of the river, crossing over the Market Street bridge and the Harvey Taylor bridge. Harrisburg Hospital has a cafeteria on the top floor named 7 Bridges because that is how many you can see from the amazing view out the windows. The Susquehanna starts in New York, flows through Pennsylvania and Maryland into the Chesapeake Bay. The river empties into the northern end of the Chesapeake Bay at Havre de Grace, Maryland, providing half of the Bay's freshwater inflow. In the little village of Shipoke you will see one of the best views of the Susquehanna. This amazing view comes from a beautiful home that is waiting for it's next lucky owner! Inside of the house is nearly as beautiful as the view! This home also happens to be known in local lore as one of the Three Sisters built by Constantine Miller. There is a beautiful leaded glass transom, a harp and a lyre, over the front door that came from the old J.H. Troup Music House on Market Square. This home is truly a beautiful place to live. Call me today to take a look inside!